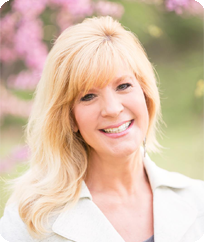 LISA ZAJUR developed the Awaken the Spanish Within® Language and while learning to speak Spanish in an easy, fun, and practical way. She is an educator, holding a degree in education, specializing in communications, and curriculum design. Clients such as U.S. Coast Guard, Bank of America, Capital One, Bon Secours, and many others have connected with the growing Latino community through the energetic style of training offered in the Awaken the Spanish Within® courses. These unique training courses offer industry specific Spanish with cultural training on the Latino culture, and have received the Rising Star Award from the American Business Women’s Association. The courses have been highlighted in MarketWise Federal Reserve Magazine, Hispanic Trends Magazine, Richmond Magazine, Associated Press, Richmond Times Dispatch, Puerto Rican Herald, and on the Hispanics Today show. MICHEL ZAJUR knows what was it is like for many hard-working immigrant men and women in the United States. Zajur immigrated to the United States from Mexico City with his family in the early 1960s when he was very young. He was taught the value of hard work as a youth by helping out in his family’s restaurant, La Siesta Mexican Restaurant. La Siesta was in business for over thirty years, eventually becoming an iconic Richmond eatery. In addition to catering, manufacturing, and distributing La Siesta’s personal line of salsa, La Siesta also created an education program for children. Zajur attended college at J. Sargeant Reynolds Community College and transferred to Virginia Commonwealth University all while helping his family at La Siesta Restaurant. Zajur married a blonde-haired, blue-eyed girl, Lisa, and now has three dynamic kids who have each started their own professional careers. 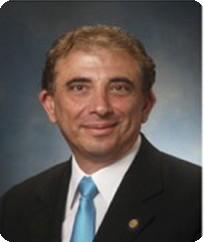 As a result of his work with outreach programs and his involvement within the community, Zajur founded a statewide organization, the Virginia Hispanic Chamber of Commerce (VAHCC), in May of 2000. The VAHCC serves as the bridge linking the Hispanic business community within the Commonwealth of Virginia. In 2003, the VAHCC Foundation was established as an effort to further provide education, information and resources to the Hispanic community. As Founder and CEO of the VAHCC, Zajur has helped to educate Virginia’s community about changing demographics within the state and has helped to provide business opportunities to include the Hispanic population in the business world. Zajur works to build partnerships with the Hispanic community on a national and statewide level, while connecting all those interested in Hispanic business, including the Virginia Hispanic business community; Virginia businesses and corporations; local, state, federal, and international entities; non-profit organizations; and individuals. Zajur has received numerous awards which include: the National Conference of Community Justices Humanitarian Award in 2002, the Minority Small Business Champion Award from the U.S. Small Business Administration in 2006, and the Global Excellence Award from the Virginia International Business Council in 2011. Zajur was recognized as “One of the 25 People You Need to Know in the State” by Virginia Business Magazine, and was acknowledged as one of Richmond’s most influential and inspiring people by Boomer Magazine in 2012. In September of 2012, Zajur received the Ohtli Award which is the highest award bestowed by the Mexican government upon a non-Mexican citizen. And in June 2016, Zajur was recognized as one of 30 people who have “helped shape the Richmond Virginia community” in the Richmond Times Dispatch’s newspaper’s Metro Business 30th Anniversary Special Edition. Michel is an author of the bilingual children’s book, Piñata Story, co-authored with his wife, Lisa Zajur. Piñata Story, is an interactive bilingual book, that transports its readers on a cultural journey, which highlights a story about the meaning of the piñata, while learning Spanish. Since 1987 the Zajur’s told this story about the piñata to over 100,000 students, and it became so popular they decided to write the Piñata Story book for children everywhere to enjoy! Michel has served on numerous boards, and is a requested public speaker for many businesses, events and organizations, and is a consultant for organizations looking for his expertise in helping them connect to the Latino community.